Philosophy of Service — Jennifer Fiedler Larimore, Ph.D. The community we belong to defines us, at least in part. For many of us, there is a natural inclination to observe problems in our community and a desire to be a part of the solution. Through our own unique gifts and talents, we serve the community we are a part of when we offer up a potential solution to the problems we see. By engaging in dialogue and action, we can bring about improvements. I view service to the Agnes Scott and Neuroscience community as a way to partner with each and bring improvement to each. I am not equipped with the gifts or energy to solve all the problems that may exist in these communities. However, I can devote myself to their service with my own unique gifts, and make improvements in my own way in keeping with the underlying philosophies of each community. I have served on a panel for Achievement weekend, answering questions about Scotties in STEM and plan to continue involvement in recruitment weekends. One of my answers to a question explaining the distinct advantages of a single gender liberal arts setting for STEM students was well-liked by admissions so at their request, I filmed a recruitment video for Admissions discussing the distinct advantages to a STEM education at a liberal arts college for women. I have updated the admissions group on any upcoming Neuroscience events to allow potential students to join in and I have offered up my Mentored Research class (BIO 440) on Monday mornings if they need a tour spot for showcasing student research at Agnes Scott. Also, at the request of admissions, I created a bulletin board space both for Neuroscience and Biology to highlight some of the amazing aspects of the education we offer in those majors here at Agnes Scott. I have served the Agnes Scott community on committees each year (excluding my first year) and I plan to continue my commitment to committee work. I have served on PDC (Fall 2013 – Fall 2015) and CASA (Fall 2016- present). Serving on the PDC committee allowed me to gain a better understanding of my colleagues areas of research interests beyond my own field. Service on this committee was engaging as I read applications for sabbaticals and internal funding. While serving on this committee, we worked to streamline the application process for internal funding so it was simple and efficient to apply and analyze the applications. My commitment to continuing my own personal research with students makes service on this committee exciting to observe other faculty seeking similar experiences. Serving on CASA has allowed me to understand more about Agnes Scott’s commitment to academic excellence. While serving on the committee, we have examined several topics, including the degree completion program, the "three-things" policy, and student petitions. My dedication to academic excellence in my own classroom and my commitment to Agnes Scott makes service on CASA a natural fit with my interests and pursuits. I will continue to serve on committees throughout my career to further connect myself to my colleagues and to the college. There are other committees that would fit with my interests and talents, and I will continue to make those talents available through my service at Agnes Scott. I have served the Biology department through my work directing the construction and implementation of BIO 110. My work on the first semester, BIO 110 is discussed in my teaching statement. By using evidence based best practices, as a department, we were able to work together to provide an introductory series that delivers quality content as well as necessary scientific skills in a cohesive experience utilizing active learning approaches. For the Biology Department, I take notes at each of our department meetings which I post to our Google drive folder. I am also updating the Biology website so that it can be utilized as a recruitment tool for future Scotties in STEM. Finally, I am working with Alumnae Relations to create a list documenting all known graduated Biology majors. With that, I plan on reaching out to as many of those Alumnae as possible to determine their career path after graduation from Agnes Scott. That information will also be made available on the Biology website. 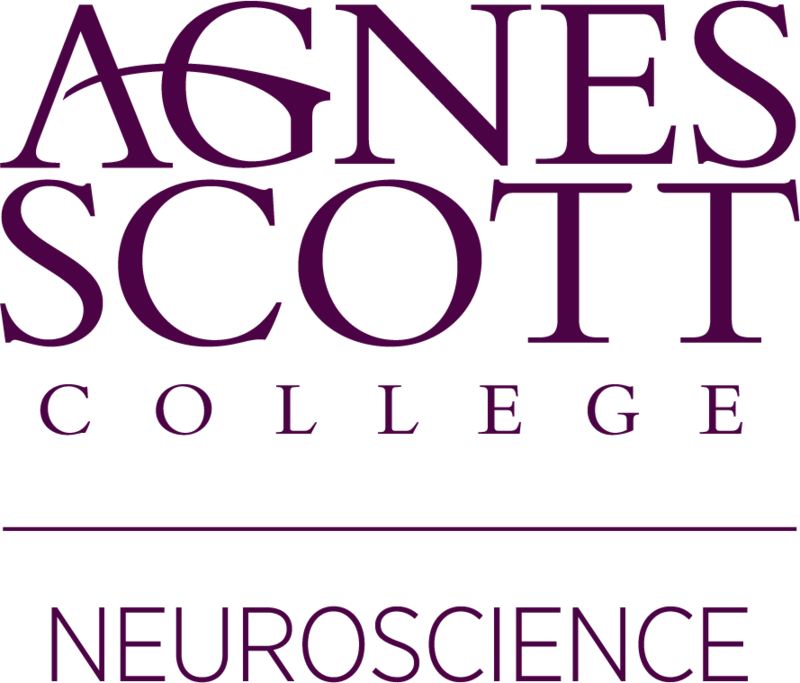 I currently serve as a co-director for the Neuroscience Program at Agnes Scott. During my time as a co-director for the past year and a half, the faculty have worked together to enhance the major requirements based on the current requirements for graduate school and medical school. We have worked towards enhancing our Introductory Neuroscience sequence including the addition of major skill requirements to both semesters of the introductory series. The Neuroscience program is also working on a research competition for our students in the Spring prior to SpARC. We are researching potential funding for scholarships through a grant to the NSF. I have updated the Neuroscience program website with more useful information, and the neuroscience faculty are working on involving more of students in research experiences. We are also in the process of utilizing social media outlets to make announcements, connect our majors, highlight research, and hopefully serve as a recruiting tool for future STEM Scotties. We hosted our first Neuroscience Majors Dinner in September and plan on continuing those dinners about every 4-5 weeks to create a sense of community among our majors and potential majors. 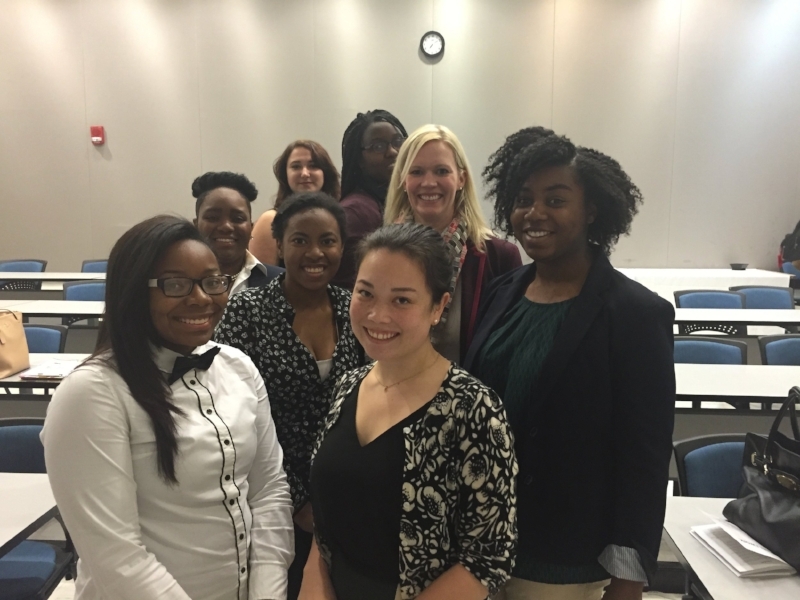 The program is continuing to explore how to enhance our major and the experience of our majors. I have served Neuroscience for many years and I plan to continue to serve this field of science throughout the remainder of my career. Service to this field strengthens my ability to be relevant in the classroom, enhances my research, and allows me to train the next generation of neuroscientists. I serve on editorial review boards for a neuroscience journals and as a reviewer for cell and molecular neuroscience journals. I serve as a judge for research presentations and have given talks focused on neuroscience careers. I am part of the National Research Mentoring Network (NRMN) to mentor undergraduate and graduate students in STEM fields. I served as the Director of the NET/work program at Agnes Scott, where I worked with 16 Agnes students over 6 years pairing them with a research lab at GSU or Emory for two academic years and two summer research experiences for undergraduates as well as overseeing professional development workshops for all participants. I also serve as the Neuroscience National Honor Society, Nu Rho Psi, advisor for the Agnes Scott chapter. I will continue to serve Neuroscience to remain a relevant professor and a knowledgeable researcher.